Ready to get your business or church involved? 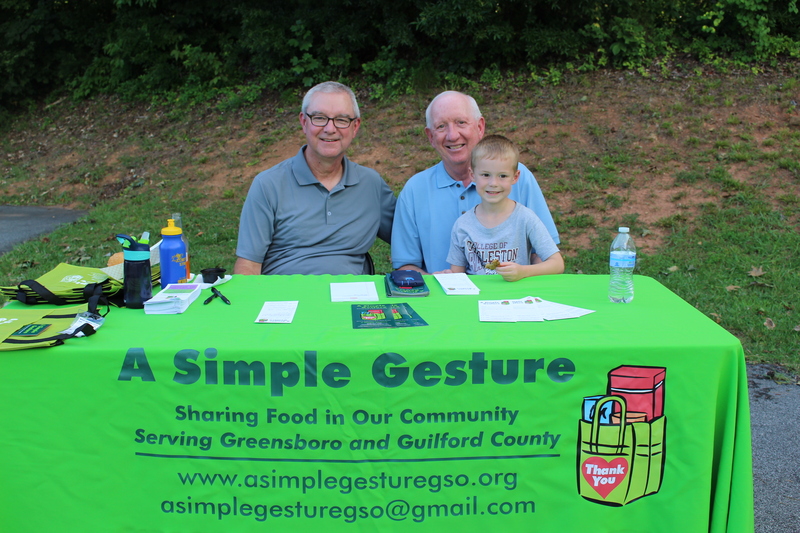 A Simple Gesture - Greensboro owes it's growth to our wonderful corporate partners and faith partners. Educate your congregation about A Simple Gesture and ask members to fill out a sign-up card. We do the rest! Every member who signs up gives about 120 pounds of food a year! Workers take their empty bags home and put one non-perishable item into their bag every week. On the designated Friday, they bring their bag to work and get a new bag from the Simple Gesture Champion. A Simple Gesture volunteer will come by on the designated Friday, collect the filled bags, give you plenty of empty bags, and deliver the food immediately to local food pantries. The Cycle of Giving continues and kids are active and healthy, thanks to the kindness of your office!